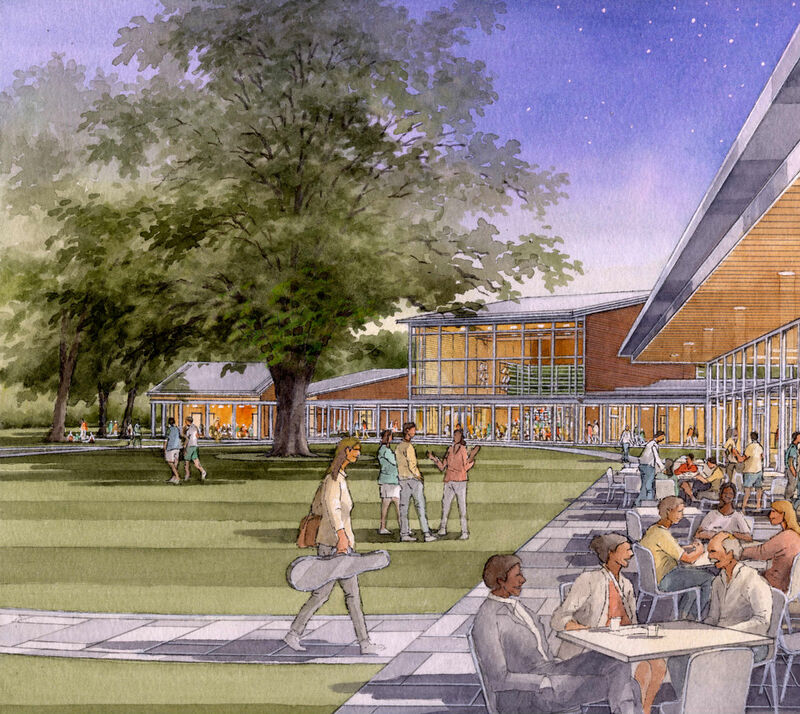 In Lenox, Massachusetts, the Boston Symphony Orchestra is putting money into expanding the Tanglewood Music Center, a place the orchestra has called home during summertime since 1932. The $30 million project is being headed by Boston firm William Rawn Associates. The practice has designed four new buildings for the site including a multi-use rehearsal and performance venue, cafe, and two small studios. "We know the site very well, we have a history here," said Bill Rawn, founding principal of William Rawn Associates. The firm designed the Sieji Ozawa Hall, a 36,000-square-foot venue for the Boston's Symphony Orchestra's summer shows 25 years ago. Orientated in a linear fashion, the coterie of new buildings set for Tanglewood cover 24,000 square feet. Rawn stressed that the additions did not attempt to outdo Ozawa Hall in terms of scale. "They're much less monolithic, Ozawa Hall is still the centerpiece." Predominantly, the site is geared for outdoor circulation among the four new buildings. A canopy protrudes over a pathway adjacent to landscaping, which is courtesy of Reed Hilderbrand, a landscape architecture firm from Cambridge. 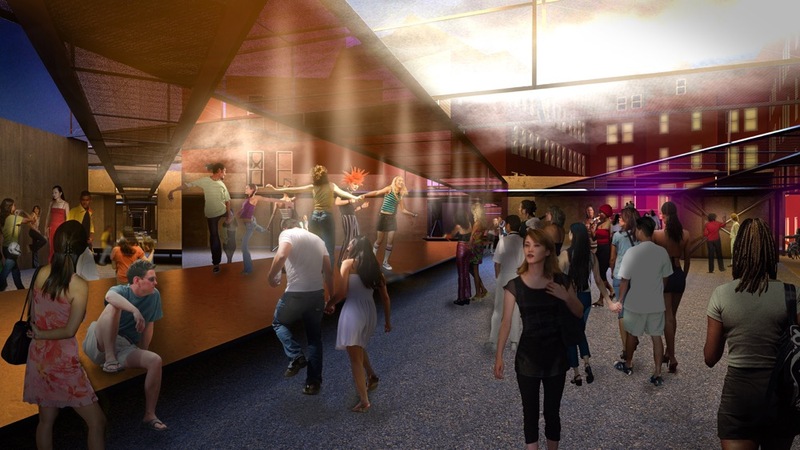 Clifford Gayley, another principle at William Rawn, described "Studio 1," a new multi-use performance space that will seat 200 when being used for small-scale performances. The room will also double up as a place for rehearsals, banqueting and as a lecture hall. Despite extensive fenestration (for a music-based space, at least) Studio 1 performs well acoustically thanks to Chicago acoustic specialists Kirkegaard Associates who prescribed horizontal wood paneling for the interior. Speaking to The Architect's Newspaper, President of Kirkegaard, Joseph Myers said how his firm had to be careful not to place the glass too close or far away so to avoid creating a "confusing echo" effect. Windows bathe the space in natural daylight and allow audiences to gaze at the scenery behind and around performers. "Given the size of the space, loudness wasn't an issue, but we wanted to ensure that sound was kept clear and crisp for when a lecturer is speaking," said Myers. Motorized wooden grills can be exposed during loud performances to absorb sound. Here, the size of the gaps between the timber stops reverberations. Meanwhile, speakers are aimed at the retractable seating risers, intended to be used when lectures are taking place. 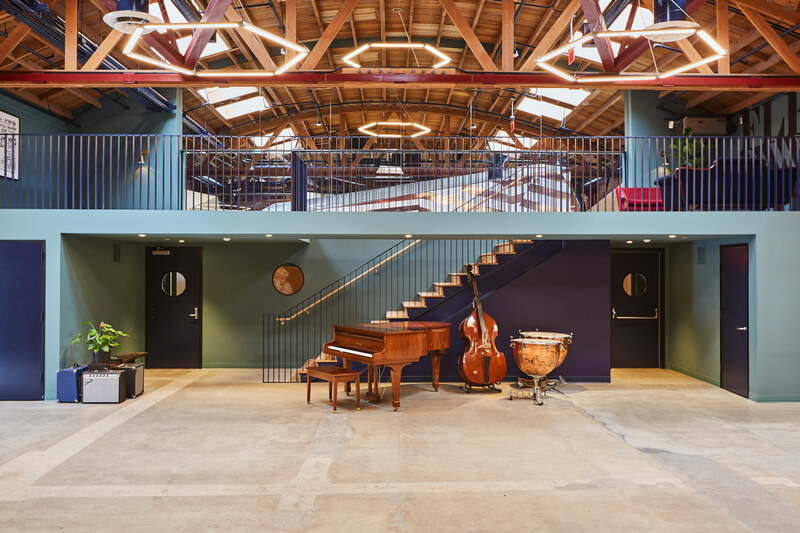 Gayley added that the timber interior of Studio 1 is carried through materially throughout the scheme, creating spaces "that are instantly recognizable as new." All the new buildings will be climate controlled and, as with Studio 1, feature views out onto the landscape and beyond to Ozawa Hall. Groundbreaking is scheduled fall this year, with project completion in summer 2019. 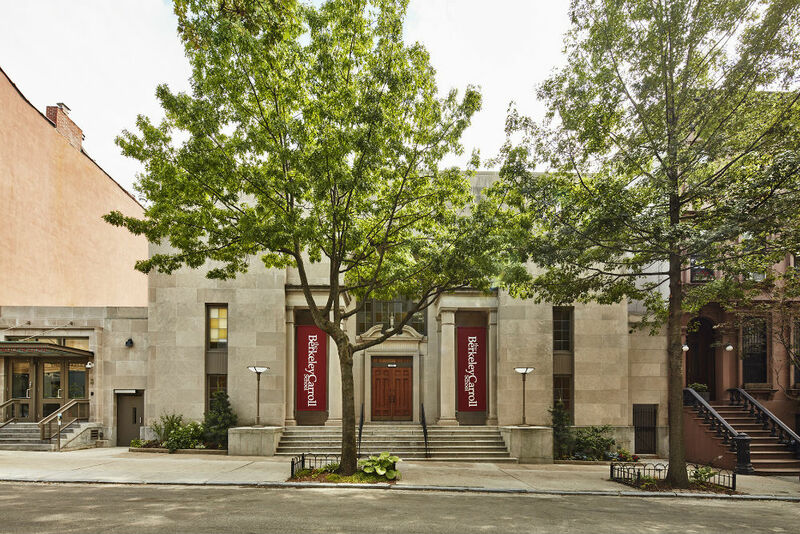 The Berkeley Carroll School, Performing Arts Center—located on the northern ridge of Park Slope in Brooklyn—was once a church. Originally built in 1936, the structure has been transformed by New York firm 1100 Architect into a flexible theater and performance space. The former 80-year-old church can now provide the pre-K Berkeley Carroll School with seating for 396 through a staggered seating arrangement that uses space freed up by the removal of the existing raised stage. Subsequently, the space can be reconfigured to serve as a lecture hall or venue for music, theater, events, and multi-media audio-visual performances. After 1100 Architect responded to an RFP in 2014, construction began in March 2015. The center has now been open since September. "Both the faculty of the school and the student's parents are very impressed with the space that they now have," said associate principal Gwendolyn Conners, talking to The Architect's Newspaper. Conners also explained how lighting and acoustic devices made the former church suitable for the school's needs. "The back wall required sound absorption most of all," she said. "We specified a perforated metal system with acoustic material behind. The perforated metal was ideal due to the school needing for it to be durable." Sound absorbing panels also hang from the ceiling inside. The panels have been arranged by their density and distance from the stage: No panels are located at the front of the stage in order for sound to be reflected back to the immediate audience, meanwhile, to the back, the panel density is staggered to 50 percent coverage and then to 75 percent. 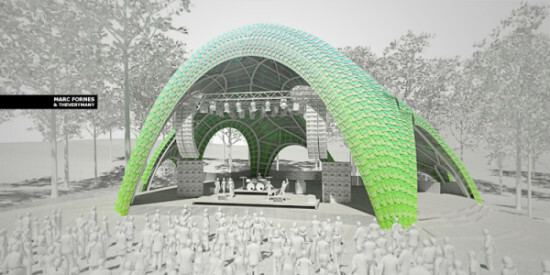 Visually, this arrangement also allows members of the audience to glimpse the pre-existing dome above (which has now been illuminated from the inside with cove lighting). In addition to the dome, the church's simplistic neoclassical windows are a dominant feature both inside and out. Though they were never, as Conners said, "an ecclesiastical masterpiece," the windows illuminate the space with daylight—such as when the stage hosts theater and stage set classes. For performances, double-layered curtains are capable of shutting out sunlight when necessary, while also doubling up as sound absorbers. Code and Expediting Consultant: William Vitacco Associates Ltd.
Owners Representation: Seamus Henchy and Associates Inc.
Keeping your cool onstage is no mean feat, but one that students and performers at the Marshall Family Performing Arts Center needn’t worry about, thanks to the implementation of the ice cooling system that Manhattan firm Weiss/Manfredi oversaw. 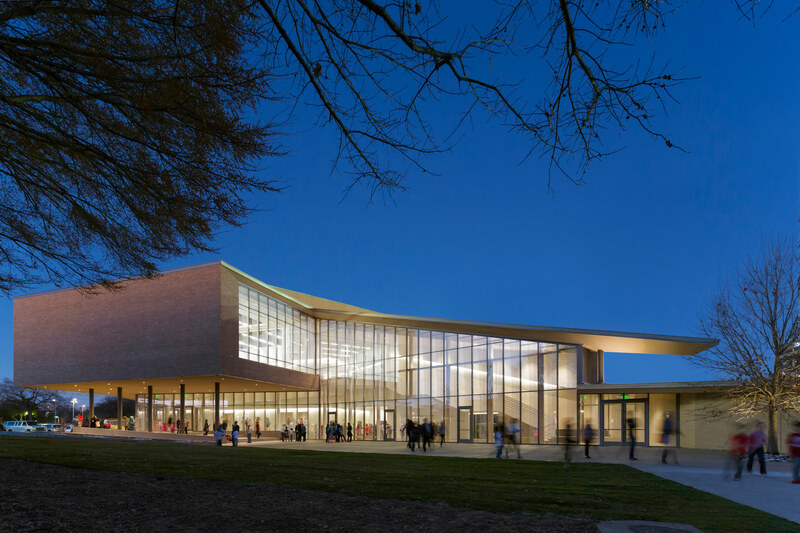 The $26.5 million center, part of the Greenhill School in Addison, Texas, opened this past February. Page designed and installed the system, which involves storing ice and using it in conjunction with an air-cooled chiller as ice melts throughout the day, cold water is pumped through cooling coils in an air-handling unit. Weiss explained that “in performance spaces such as the proscenium theater, thermal ducts are located at lower levels so that they can be insulated by the earth and emerge around people's feet. Here, air is released very slowly so as to avoid noise pollution during production.” The proscenium theater seats 600 people: 450 at orchestra level and 150 in the balcony. Underneath these seats, an under-slab air plenum and diffuser grilles form a displacement ventilation system,which releases cool air as needed. Meanwhile, multicolored upholstery creates the illusion of a full venue, even when crowd numbers are low, ensuring that the performers never break a sweat. Queue up your best dance tracks because (techno)logy will soon make it easier than ever to home rave. Music broadcasting group Boiler Room has teamed up with Inception to open the world's first virtual reality venue. The two enterprises will produce made-for-VR events in the London space so listeners can Source Direct content or sweat Midwest fresh without leaving home. 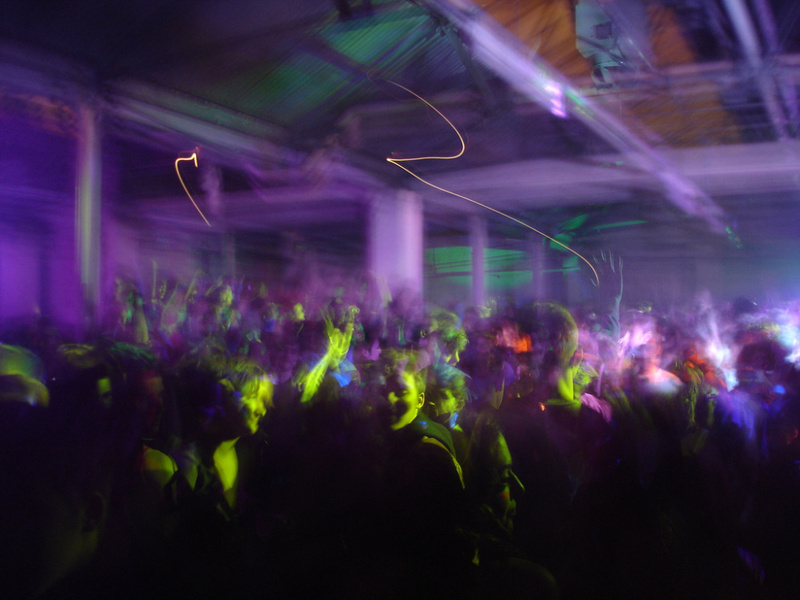 Boiler Room is best known for its music live streams where dancers can be seen grooving in sweaty rave caves behind some of the world's most talented DJs. Like an internet-age MTV, the company archives the sets online so dance music fans in New York can sample Japanese grime or take a quick getaway to Acid Camp in the Poconos: In a statement on Business Wire, the broadcasters explained the significance of their new venture for far-flung fans who want to jack: “Most of Boiler Room's audience is made up of global online users who tune in to watch music events they can’t attend in person. We’ve always been driven by using technology to showcase the music we care about in the most authentic way we can.” Shows will be accessible through Inception's app. Although music fans will have to wait until early next year to home rave, VR right now is merging the digital and the physical with shocking fluidity. This year, artist Tamiko Thiel unveiled a VR installation at the Seattle Art Museum that imagines life in the climate change–burdened anthropocene while The Guardian used VR to help viewers empathize with prisoners in solitary. Earlier this month, Diller Scofidio + Renfro (DS+R) debuted a VR-enhanced exhibition at the Jewish Museum's just-opened Pierre Chareau exhibition. At that show, DS+R uses archival photographs and prints to recreate Chareau's interiors in digital space. "Virtual reality provided the perfect opportunity to re-spatialize these artifacts, these pieces of furniture,” firm principal Elizabeth Diller told The Architect's Newspaper (AN). On the West Coast, firms like Gensler are using VR to communicate project concepts for the new Los Angeles Football Club stadium, a move that is "basically normalizing the technology as a design tool." A big “Happy 40th Birthday” goes out to the Sydney Opera House this year, which is still looking good in its middle age. Completed by Danish architect and Pritzker Prize–winner, Jørn Utzon, in 1973, the iconic performing arts center is now an internationally renowned late modernist architectural marvel. Originally, when Utzon entered the 1956 New South Wales Government sponsored competition to envision two performance halls on the Sydney Harbor, his design was discarded. However, his “entry created great community interest” and the jury was persuaded to choose him as the sole architect in the ambitious project. Utzon received the Pritzker Prize in 2003 and the building made the World Heritage List in 2007. The architect died one year later in Copenhagen but his vision lives on. 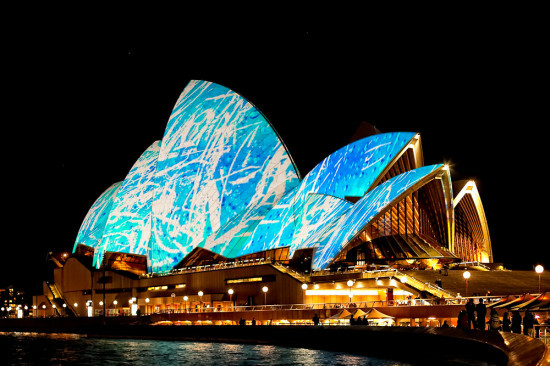 Against a Sydney Harbor backdrop, the Sydney Opera House has become a graceful, yet dynamic symbol of Australia.